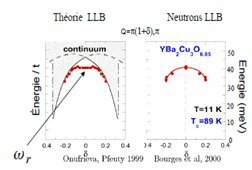 Les neutrons permettent de sonder la matière et leur sensibilité aux éléments légers et au magnétisme en font une sonde unique et originale. 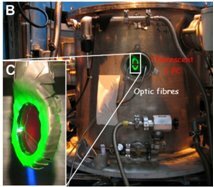 A l'IRAMIS , l’utilisation de la spectrométrie neutronique dans divers domaines de la recherche fondamentale et appliquée est développée autour du Laboratoire mixte CEA-CNRS Léon Brillouin autour du réacteur Orphée à Saclay. Ils sont principalement destinés à l'étude de la matière condensée. 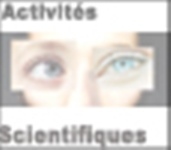 L'activité scientifique propre du laboratoire peut se regrouper en trois secteurs sensiblement d'égale importance: la physico-chimie, les études structurales et de transition de phases, le magnétisme et la supraconductivité. 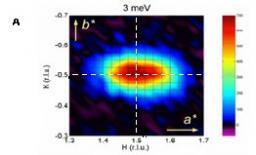 Neutron diffusion make possible to probe the matter and its sensitivity to the light elements and to magnetism make it a single and original probe. Within IRAMIS, neutron spectrometry is used in various fields in fundamental and applied research and is developed around the CEA-CNRS Laboratory Leon Brillouin (LLB) around the Orphée reactor in Saclay. Neutrons are mainly intended for the study of condensed matter. The scientific activity of the laboratory belongs to three sectors of equal importance: physicochemistry, structural studies and phase transitions, magnetism and supraconductivity. DREAM: A versatile powder diffractometer with single crystal capabilities Brief description DREAM is a time-of-flight diffractometer that is mainly dedicated to powder diffraction, but also offers single crystal capabilities. Reflectivity experiments have been performed on the Eros reflectometer at Saclay on very small pieces of glass. During this measurement, we did demonstrate our ability to obtain reflectivity curves down to values of 10-5 within a few hours. LLB is engaged in the upgrade of IN6 through a CRG contract of type A. 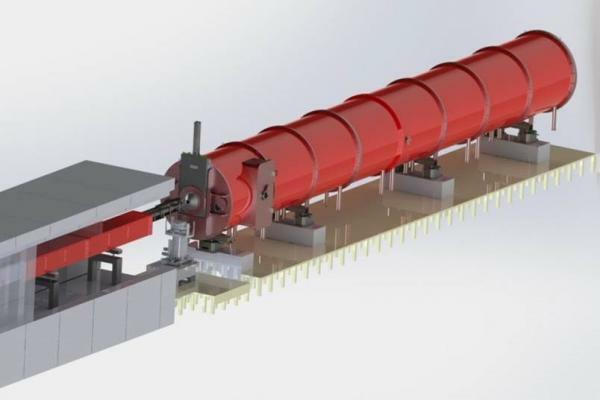 This upgrade will be performed during the 2019 shutdown of ILL, but LLB is already in charge of the IN6 spectrometer. 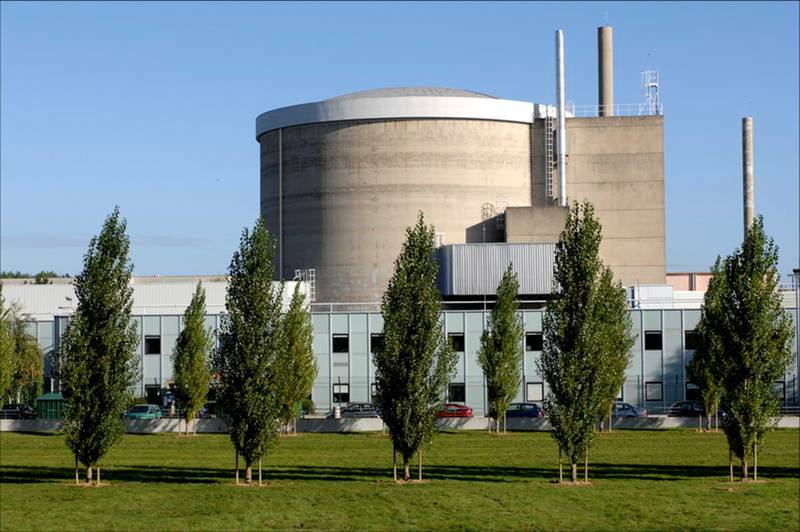 The IN6-Sharp LLB team will welcome users as soon as the ILL reactor restarts (March 1st 2018). MAGiC: a polarised single crystal diffractometer Brief description MAGiC is a polarized time-of-flight single-crystal diffractometer dedicated to the study of magnetic properties in both applied and purely fundamental systems. 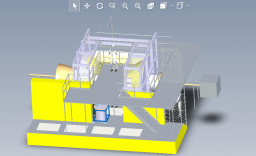 LLB is engaged at various levels in the construction of five spectrometers around ESS (European Spallation Source in Sweden) This is the Skadi web page. You can find a presentation of the project in the attached file. 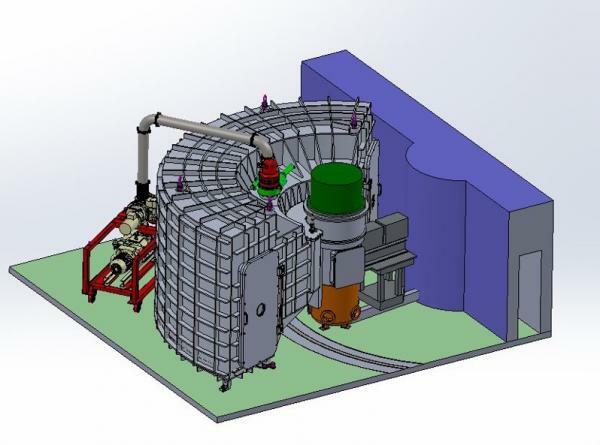 July 2019 The LLB is organizing the UCANS-8 conference in Paris, April 2019 The IPHI - Neutron 7kW set-up has been completed. The first 1kW of power has been sent on the target on April 5th. Presentations at workshops or conferences 2018 Presentation on "Neutron Scattering on Compact Neutron Sources", TU Delft, February 2018. Frédéric OTT IRAMIS / Lab. TiNi alloy is polymorphic. 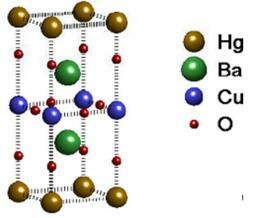 It exhibits a martensitic transition near room temperature between a cubic CsCl-type (austenite) and a monoclinic TiNi-type (martensite) structure. This transformation is at the origin of its shape memory effect. Anisotropic reinforcement of nanocomposites tuned by by magnetic orientation of the filler network. The improvement of the mechanical properties of polymer films by inclusion of mineral particles is a well known industrial practice used since the end of the XIX century. 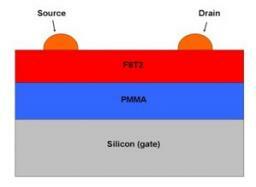 Using conjugated polymers as the active materials in electronic and optoelectronic devices opens up the possibility of fabricating all-polymer devices using solution processing technologies. Light-harvesting antennae are pigment-protein complexes involved in light-absorption and excitation energy transfer (EET) to the so-called "reaction center" complexes, where the photochemical processes of photosynthesis take place. 1: St. Petersburg Nuclear Physics Institute, 188350, Gatchina, St. Petersburg, Russia 2: Laboratoire Léon Brillouin, CE-Saclay, F-91191, Gif-sur-Yvette, France 3: A. F. Ioffe Physico-Technical Institute, 194021, St. 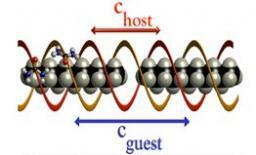 The strongly interacting conduction electrons can be accurately represented as a gas of weakly interacting electron-like excitations. 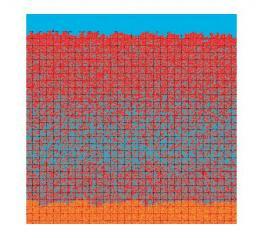 This description, known as Fermi liquid theory, works for many metallic systems. 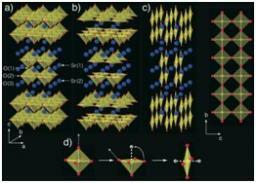 Hidden degrees of freedom in aperiodic crystals. 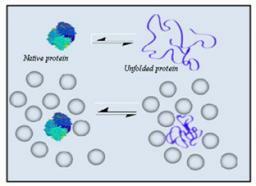 Influence of macromolecular crowding on protein stability. Following the synthesis by the ribosome, to carry out its biological function, a protein much fold into a single, well defined conformational state: the native state. 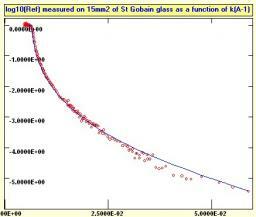 This study investigates the long term behavior of glasses used for confinement of nuclear wastes. The results have been obtained from a fruitful collaboration between different CEA laboratories (LLB, LIONS, CEA Marcoule) and the Ecole Polytechnique. 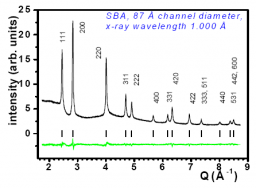 Looking at micellisation of gradient copolymers in supercritical carbon dioxide. 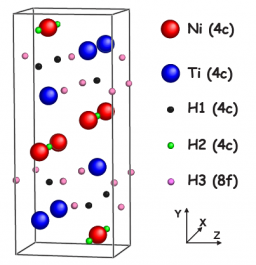 BiFeO3 is a multiferroic materials in which ferroelectric and anti-ferromagnetic orders coexist well above room temperature (TN=643 K, TC=1093 K), with a high polarization (over 100 μC/cm2 ). Neutrons and water structure: the heavy water bridge. In 1893 Sir William Armstrong reported a remarkable experiment: if a high voltage is established between two wine-glasses filled to the brim with pure water and connected by a cotton thread, a rope of water is formed and remains suspended between the lips of the two glasses. In the pyrochlore compounds R2Mo2O7, both rare earth R3+ and M4+ transition metal ions form a threedimensional network of corner sharing tetrahedra. 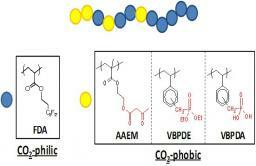 Self assembly of fatty acids in aqueous solutions. The use of agricultural resources for industrial purposes will undoubtly be one of the major challenges of the 21 st century. Organic biosynthons used in chemistry should progressively replace those coming from fossil fuels. The concept of "spin ladder" originally appeared to study the theoretically still controversial antiferromagnet (AF) 2D square lattice in high temperature superconducting cuprates starting from a well understood 1D AF chain [1-2]. Superconducting pairing and electronic anomalies induced by the spin collective mode in HTC superconductors. 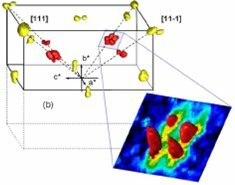 This work is part of a theoretical project which aims to unravel the mechanism at work in the high temperature cuprate superconductors. The pseudogap region of the phase diagram is an important unsolved puzzle in the field of hightransition-temperature (Tc) superconductivity, characterized by anomalous physical properties below a certain temperature, T*.